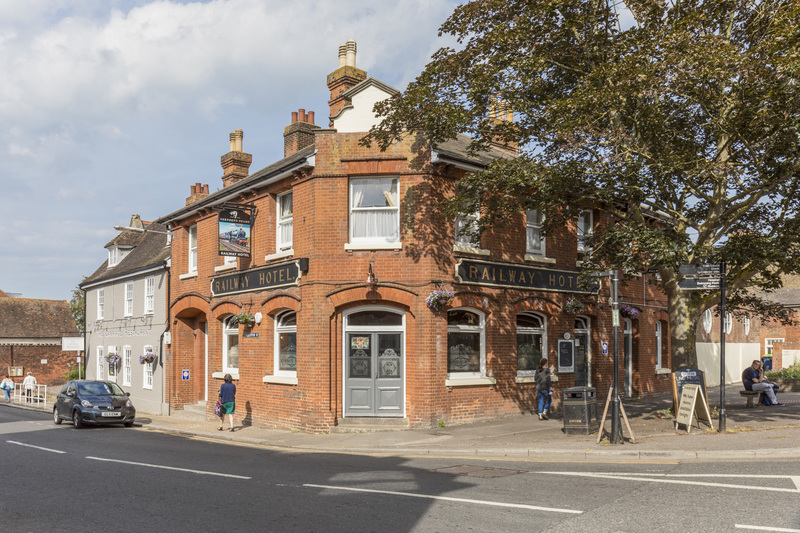 The Railway Hotel in Faversham has been offering a warm welcome to townsfolk and tourists for over 150 years - providing first-class fare and cosy accommodation in the historic Kentish market town. Situated at the top of Faversham High Street, it’s the ideal base from which to explore the area, and a superb spot to sample excellent food and drink. 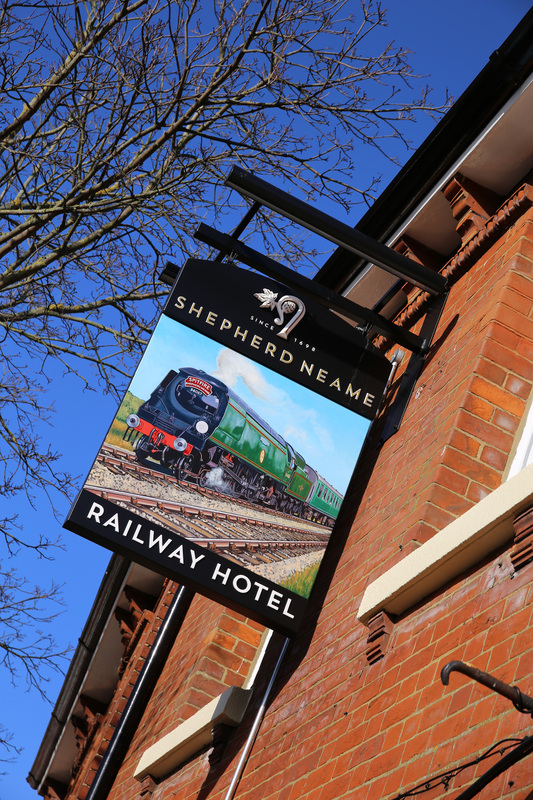 Indeed, with the beer travelling just 500 yards from the town’s Shepherd Neame brewery, it’d be hard to find a fresher pint anywhere. Drinks can be enjoyed in the traditional Victorian bar, full of original, authentic features and boasting hanging hops for the full Kentish pub experience. Fabulous food, meanwhile, is served in The Carriage - one of the best restaurants in Faversham for dishes inspired by local produce. With a friendly atmosphere and ambience in both the bar and restaurant, plus an enviable location right opposite the train station, the Railway Hotel makes a great place to stay. There are seven en-suite rooms, offering some of the town’s most convenient and comfortable accommodation - with one feature room including a four-poster bed for those seeking a little extra luxury. 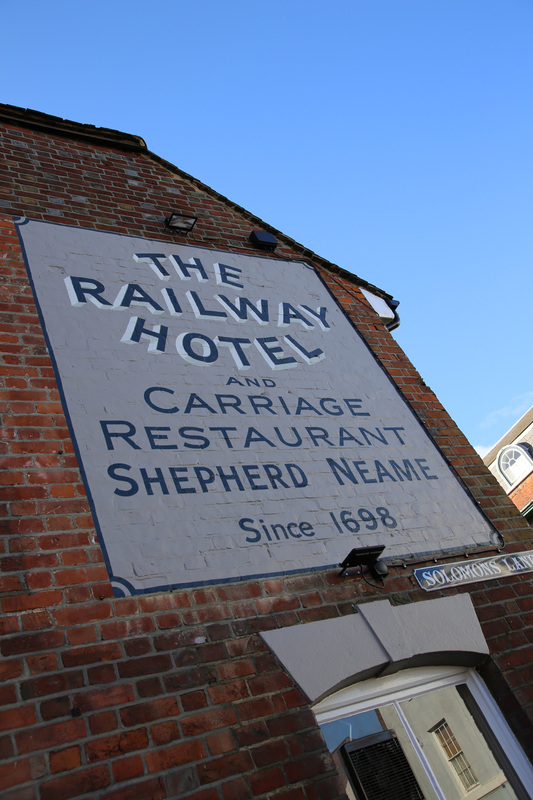 Stay in one of the most characterful and comfortable hotels in Faversham. Enjoy delicious dishes made from the freshest, locally sourced, seasonal produce.